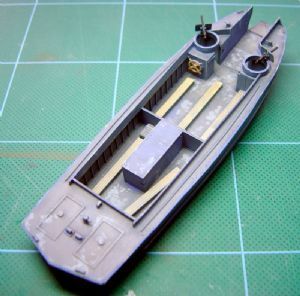 In order to speed up disembarkation of the Higgins Boat, and so that the troops were not exposed by climbing onto the deck, a narrow ramp was installed in the bow. 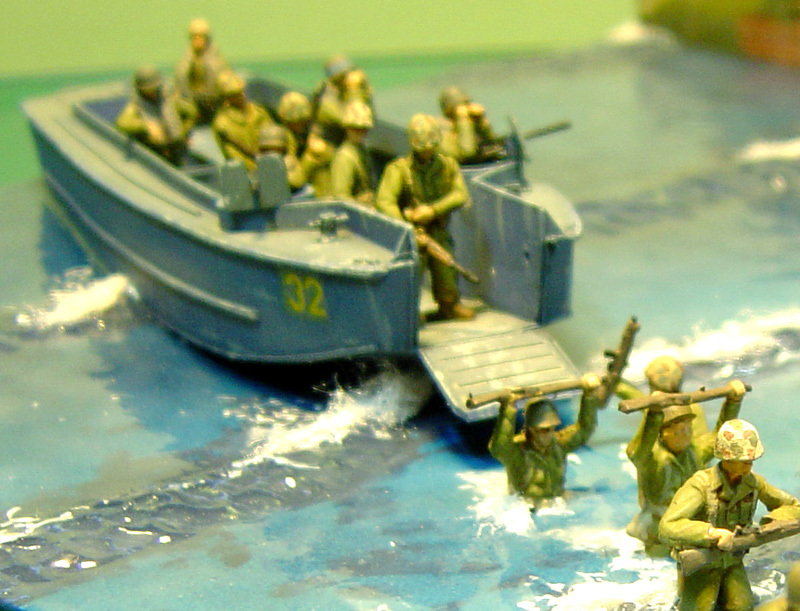 This created the Landing Craft Personnel (Ramped). A few were used by the Royal Navy but the vast majority were used in the Pacific by US forces. The model comes a a full-hull resin kit. The master was by Dan Taylor, cast by Milicast Models.